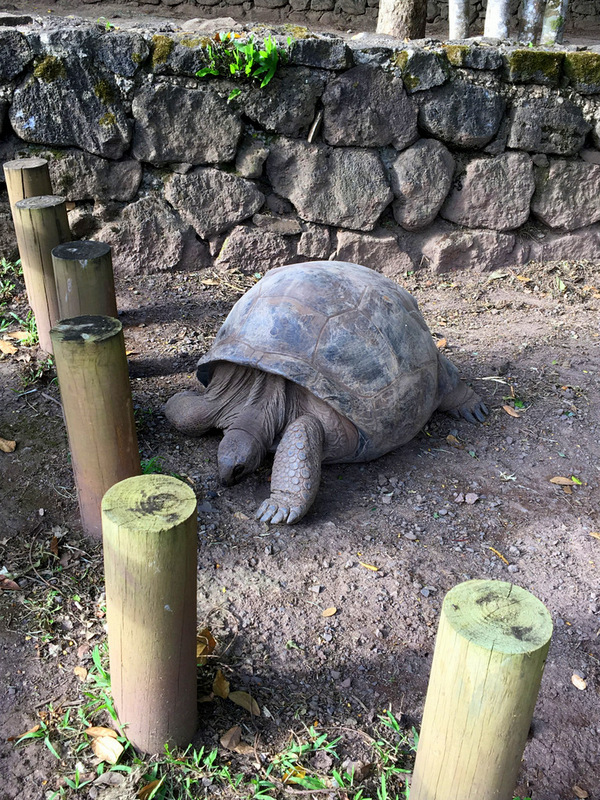 This is part 2 (of 2) of my Mauritius travel series. If you missed part 1, check it out over here – it covers where I stayed & how I got there. 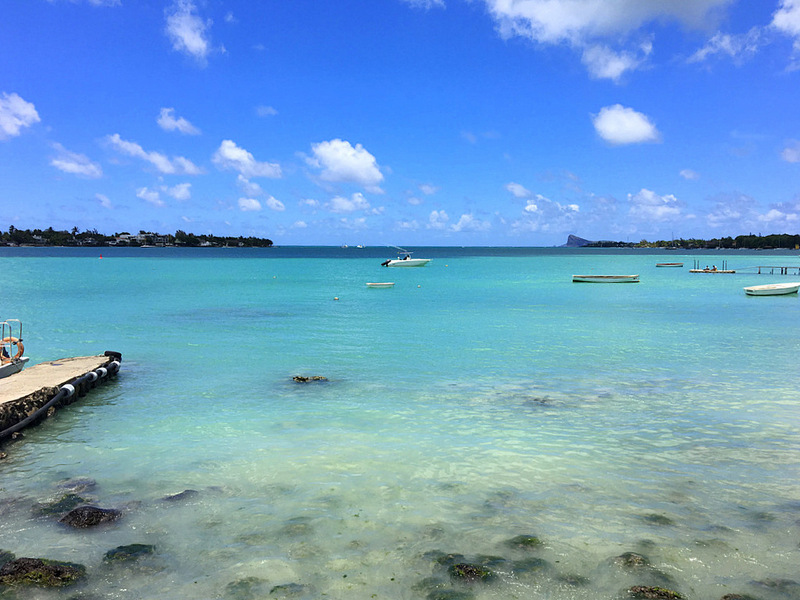 This post gives some suggestions on things to do & see while staying in Mauritius. 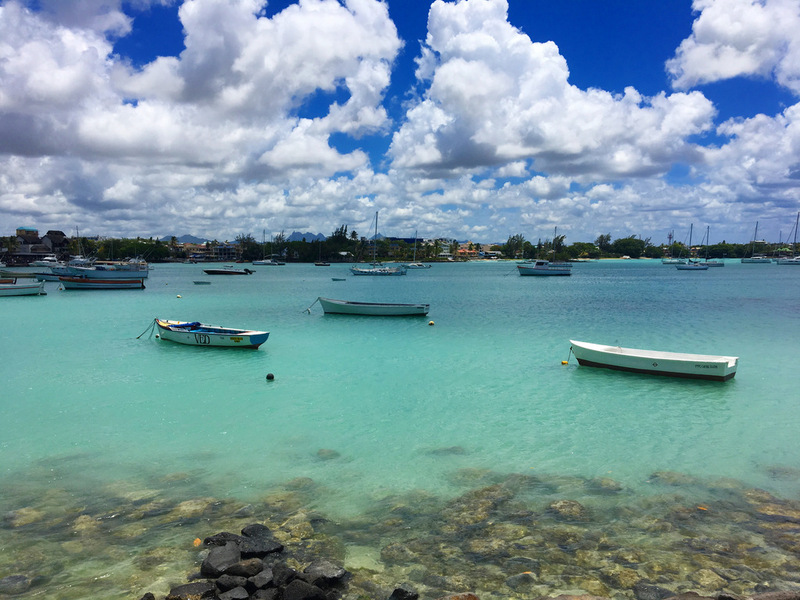 Now Mauritius really is mainly about lying on the beach while sipping on cocktails and working on your tan, but if you get bored of that, there are a couple of things you could head out to do & see. 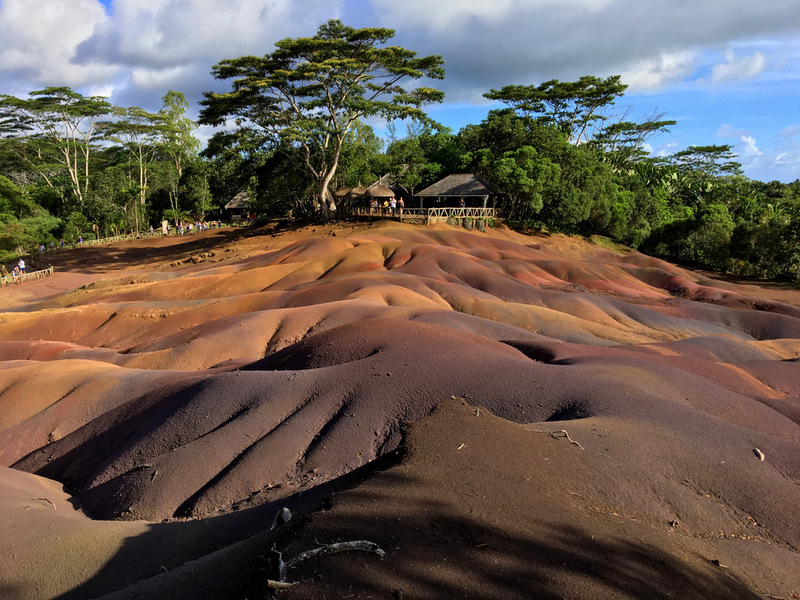 I rented a car for a day and had 3 things on my list: an underwater sea walk, the Grand Baie area & a place called the Seven Coloured Earths. The underwater sea walk was my first stop. 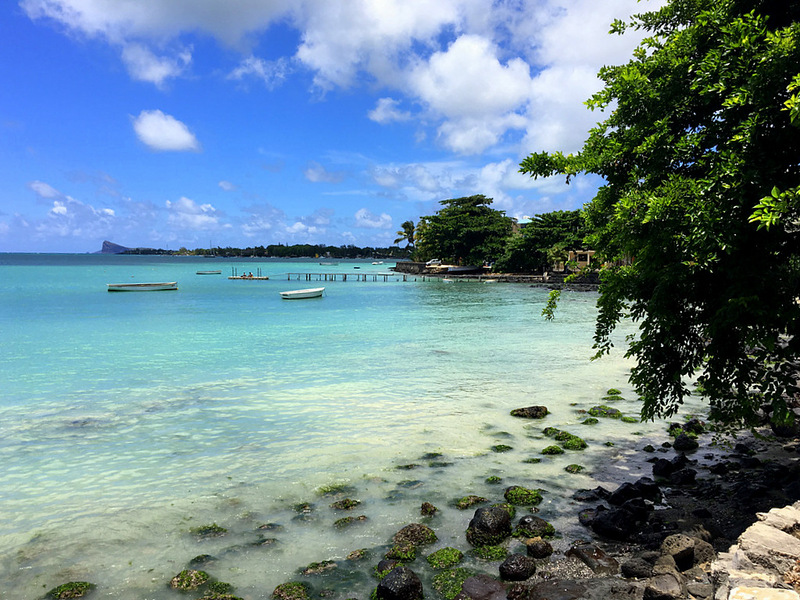 There are two operators on the island, one in Grand Baie and the other at Belle Mare on the East Coast. I chose the East Coast option which is run by a company called Aquaventure. Why them? Well I had a look at their website and I just really liked their vibe. They’ve also got a 5 star rating on TripAdvisor, so I knew I’d be in good hands. 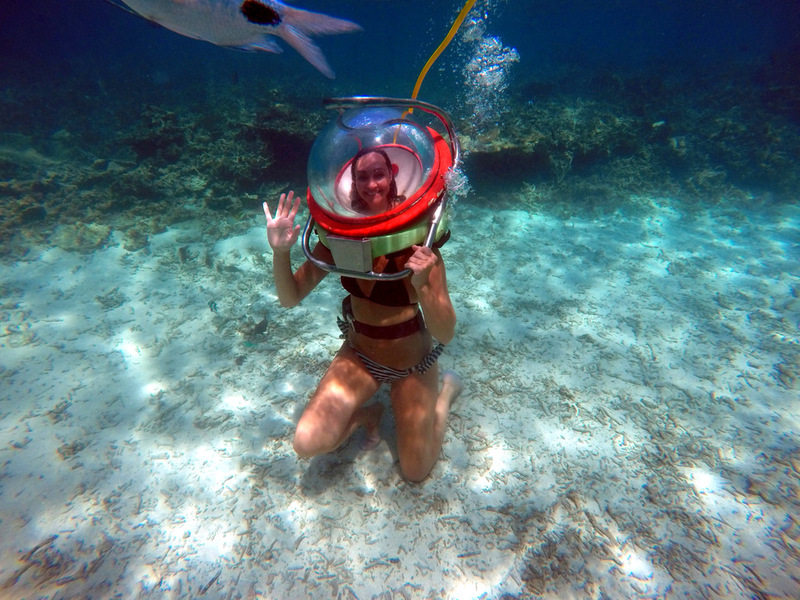 So how does an underwater sea walk work? 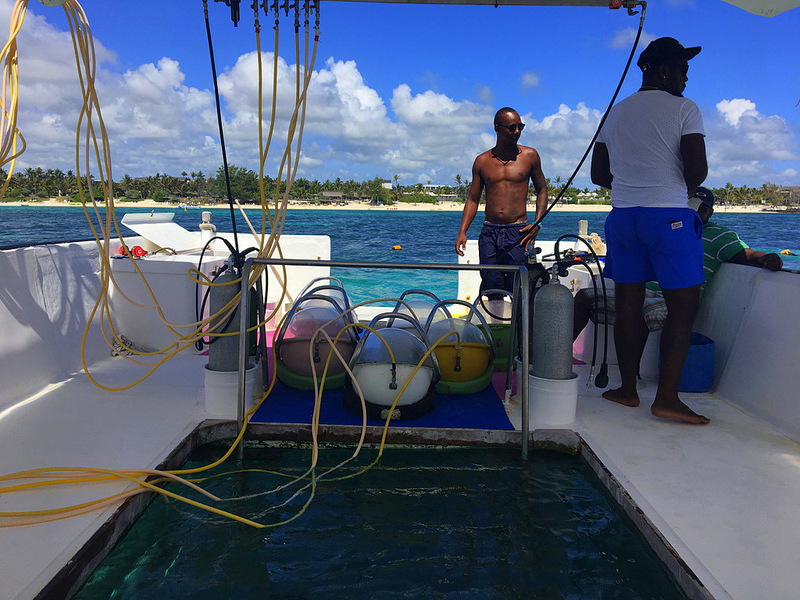 It’s a short motorboat ride out to a platform where the Aquaventure team will welcome you on board and get you prepped. 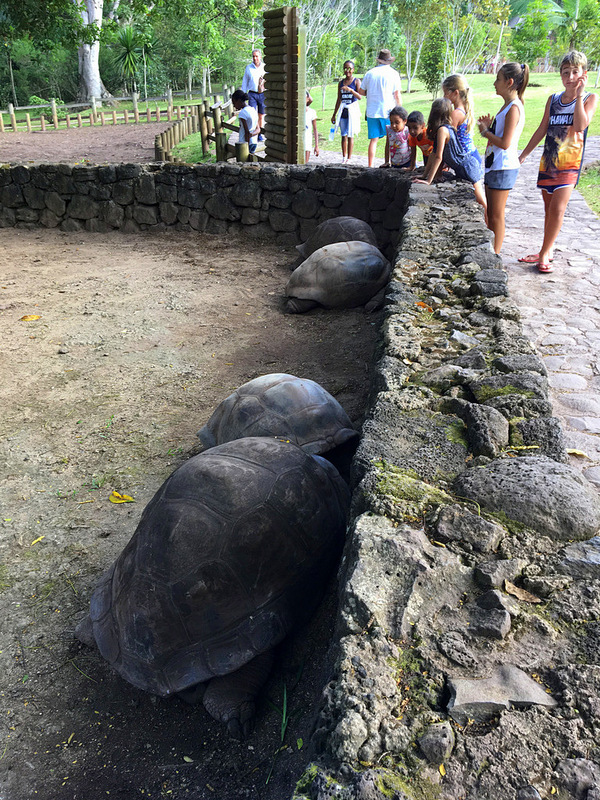 They’ll give you a pair of reef shoes to keep your tootsies protected and then you enter the water through the opening in the platform using a metal ladder. As you step down and the water hits your shoulders, the guys will gently place the special sea walk helmet over your head. From there you just pop underwater and bob’s your uncle. Your head doesn’t actually get wet at any point, which means it’s super safe for people with glasses or contacts, and that helmet may look super heavy, but underwater it’s the same weight as a normal motorcycle helmet. Look ma, I’m practically a fish! Slightly touristy & cheesy? Oh yeah… But 100% fun? For damn sure! How much will it set you back? 40 USD pp – so only about R550. 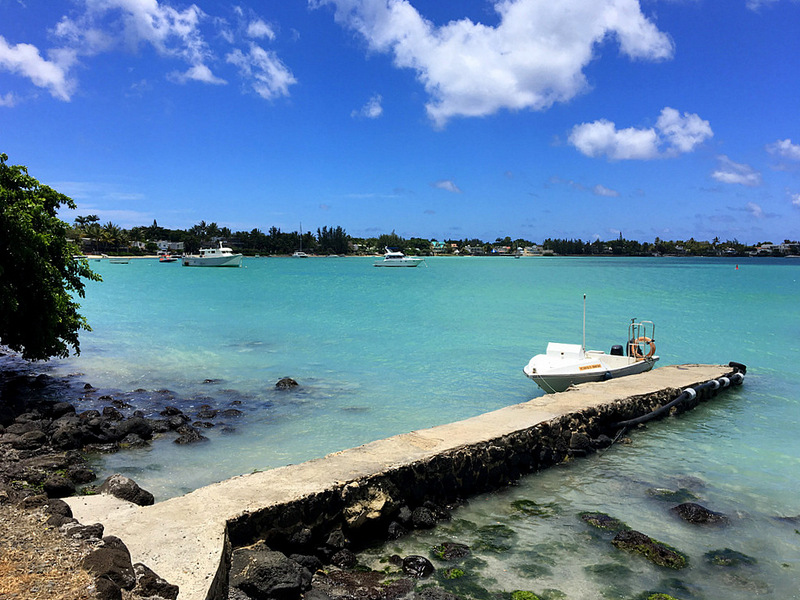 I stopped here for a bit of lunch and a relaxing stroll and it was very obvious why this is such a popular area to stay in Mauritius. Absolutely beautiful. Like seriously… not one kid cared in any way shape or form about the colourful dunes, it was aaaaall about the turtles. So keep that in mind parents. But yeah, if you’re into this kind of thing it will be super interesting. Especially the part about how these dunes don’t erode. Not even after lots of rain. Right, so next week I will start telling you all about my recent trip to Greece! I visited Athens, Santorini, Paros, Mykonos and then there was also a small detour to Sorrento, Italy. I will be doing a couple of posts, one every Thursday to tell you all about it. If you’ve always wanted to visit Greece yourself, keep an eye out. I’ll try to share as many tips as I can.